서명/저자 Retirement on the line : age, work, and value in an American factory / ed. by Caitrin Lynch. 발행사항 Ithaca : Cornell University Press , 2012. In an era when people live longer and want (or need) to work past the traditional retirement age, the Vita Needle Company of Needham, Massachusetts, provides inspiration and important lessons about the value of older workers. Vita Needle is a family-owned factory that was founded in 1932 and makes needles, stainless steel tubing and pipes, and custom fabricated parts. As part of its unusual business model, the company seeks out older workers; the median age of the employees is seventy-four. In Retirement on the Line, Caitrin Lynch explores what this unusual company''s commitment to an elderly workforce means for the employer, the workers, the community, and society more generally. 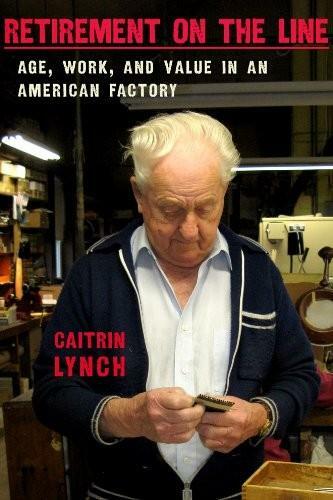 Benefiting from nearly five years of fieldwork at Vita Needle, Lynch offers an intimate portrait of the people who work there, a nuanced explanation of the company''s hiring practices, and a cogent analysis of how the workers'' experiences can inform our understanding of aging and work in the twenty-first century. As an in-depth study of a singular workplace, rooted in the unique insights of an anthropologist who specializes in the world of work, this book provides a sustained focus on values and meanings-with profound consequences for the broader assumptions our society has about aging and employment. Conclusion : Vita’s larger lessons.